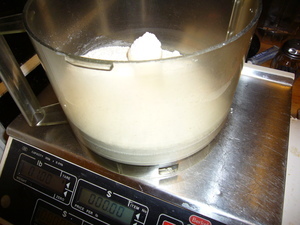 Weigh out the flour in a food processor bowl, and add the dry ingredients. 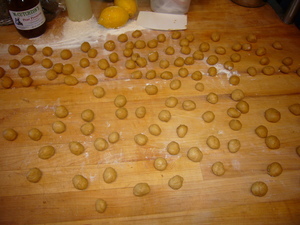 Mix briefly to distribute the spices. 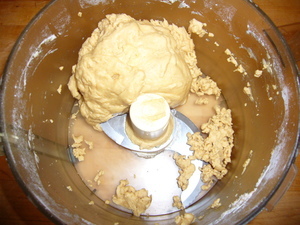 Add the eggs and oil and process till dough comes together. It should be a little sticky. 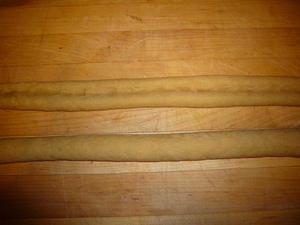 Divide dough into workable pieces, and roll out into a rope about 3/4 inch thick. Push down in the middle of the rope to make a valley. 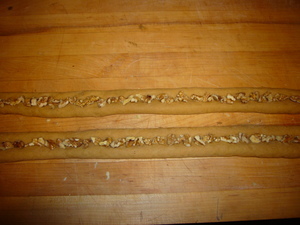 Add some chopped walnuts to the valley. 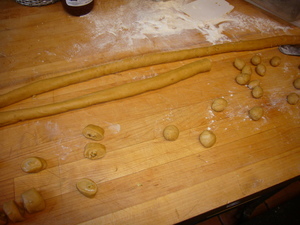 Pinch the dough closed over the nuts and roll some more to tighten the rope. Cut into 3/4 inch pieces. 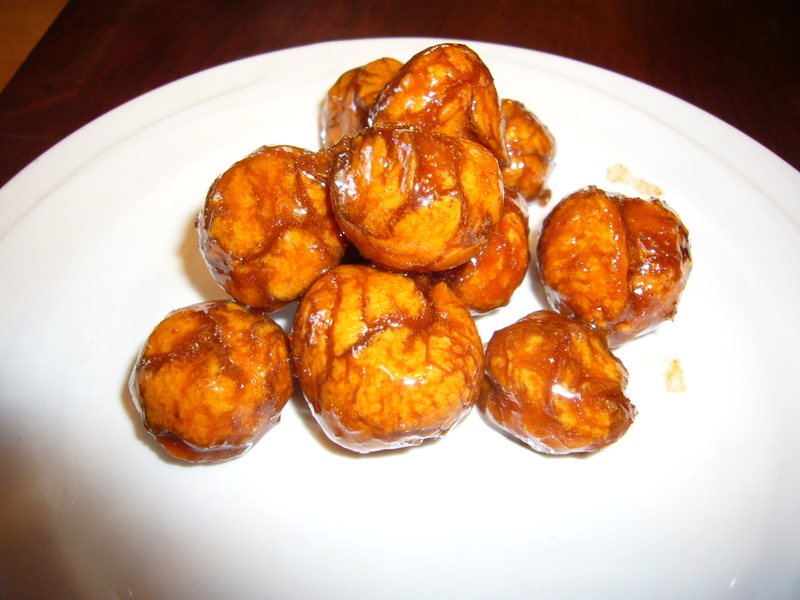 Roll the pieces between your palms to make little balls. 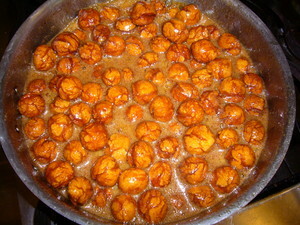 Place the syrup ingredients into a large pot and bring to a boil. 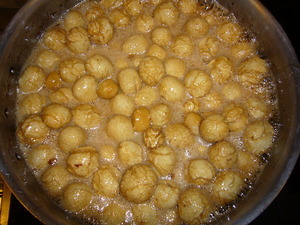 When the syrup reaches a boil, add the dough balls. 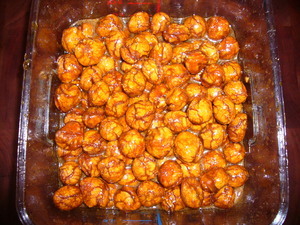 Boil the balls until they turn a mahogany brown. 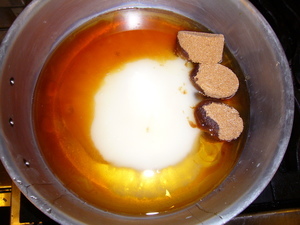 Add water if necessary to thin syrup. Carefully pour Teiglach and syrup into a container and cool.